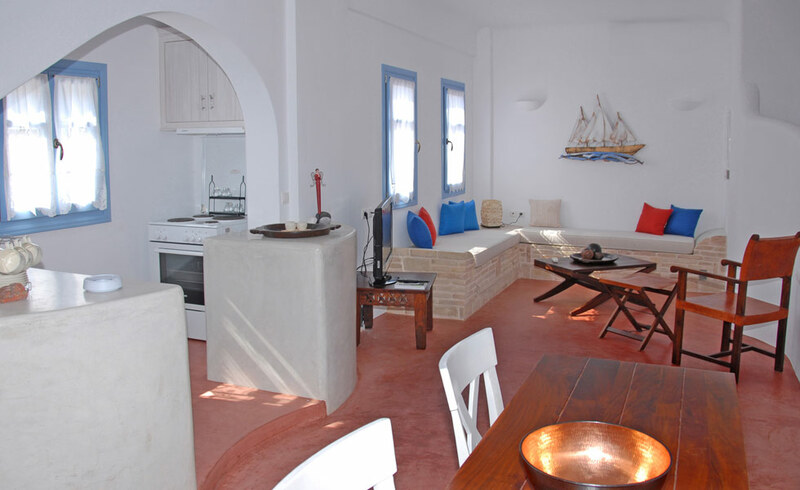 The Kalypso Santorini Houses, Daphne and Elia are situated on Monolithos Beach, in the charming area of Aghia Paraskevi. From Monolithos Beach, mountains stretch across the sea to meet the eye on the west side of the island. And, Anafi, an adjacent island, is great for a one- day excursion. 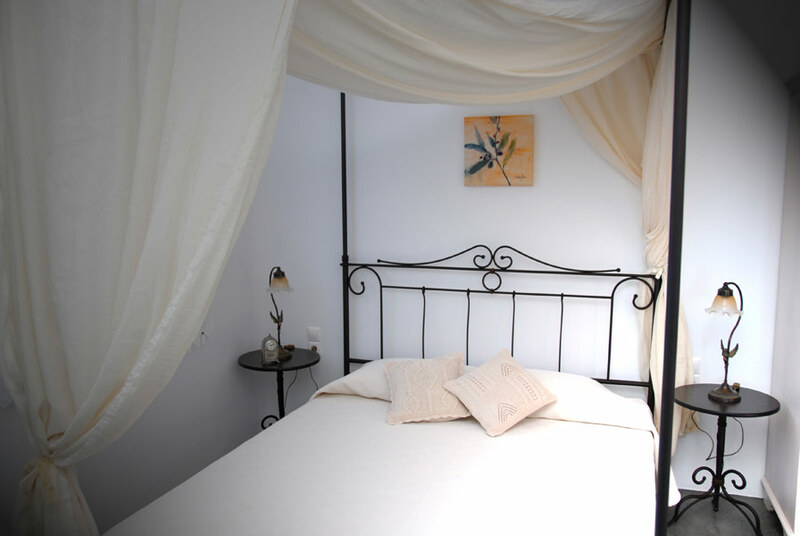 Our Daphne and Elia houses are in 100 metres from the beach. 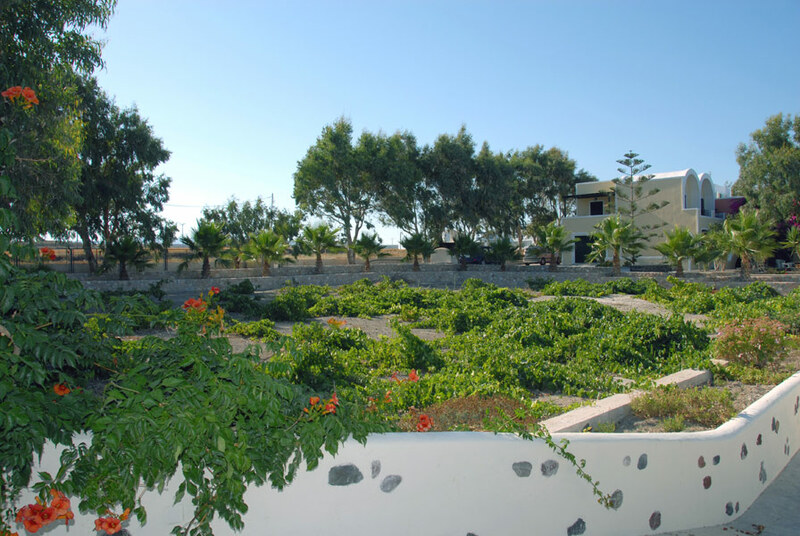 Vineyards, pistachio trees and olive groves surround the homes and pave the walk to the beach filled with the aroma of pistachios and the Nychteri grape, which is indigenous to Santorini. 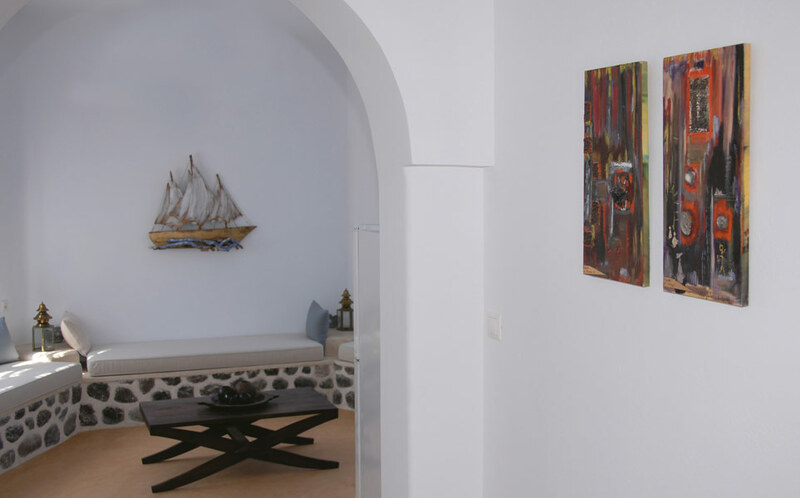 We invite you to savour our unspoiled corner of Santorini. The Kalypso homes were built in 2009 and offer all the amenities of a modern home. They are fully equipped, cool and inviting. Both have their own private swimming pools.